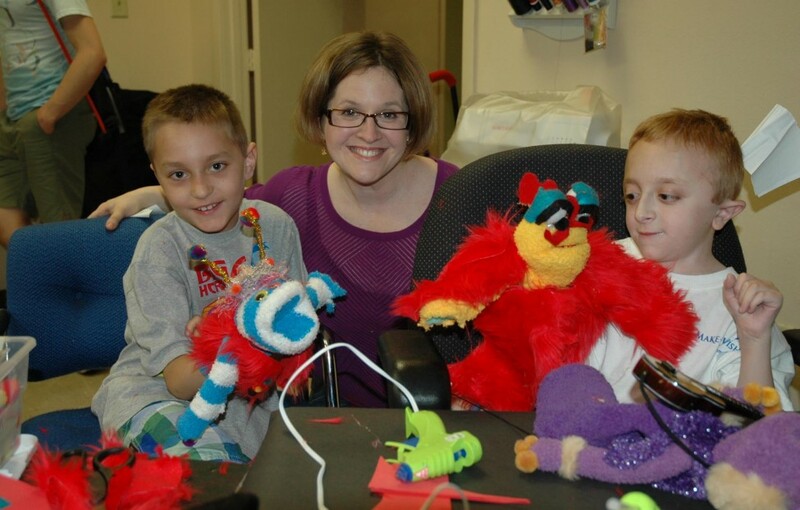 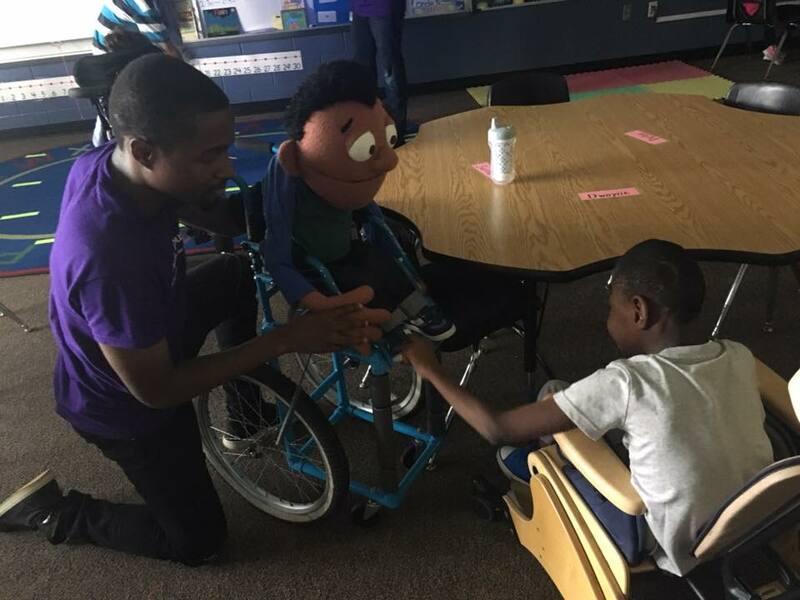 With a mission of empowering lives through the Art of Puppetry, most days at MicheLee Puppet are special, but helping to fulfill the dream of Matty Smith, a boy whose wish is to be a puppeteer, ranks at the top. 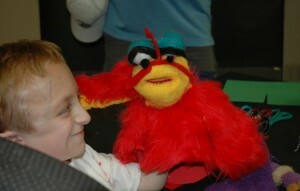 Matty’s journey begins in New Hampshire, at the Make-A-Wish Foundation’s breakfast event. 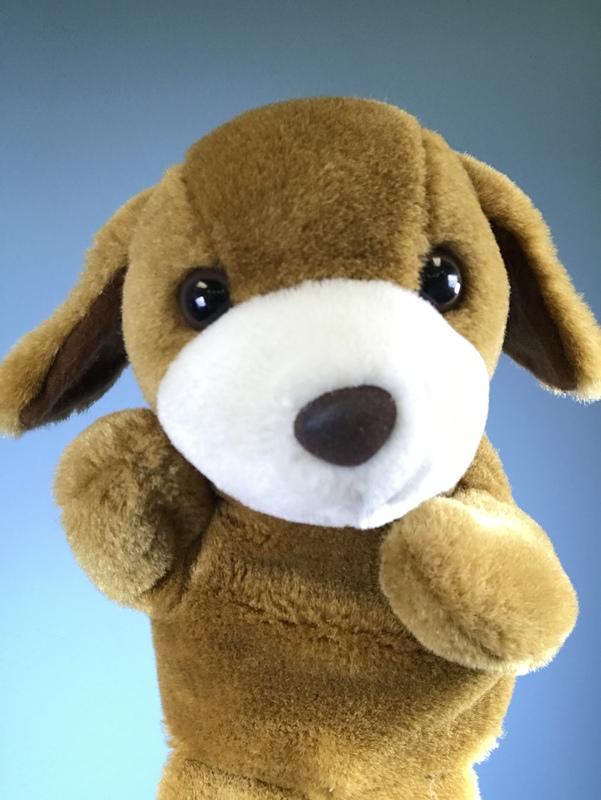 As he watches his mother speak onstage, Matty has no idea that he is about to be whisked away to Orlando, Florida where Walt Disney World, Universal Studios, and MicheLee Puppets await! 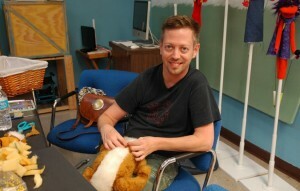 Walt Disney World puppeteer Eric Sweetman meets the Smiths at the park entrance for a tour of everything puppetry. 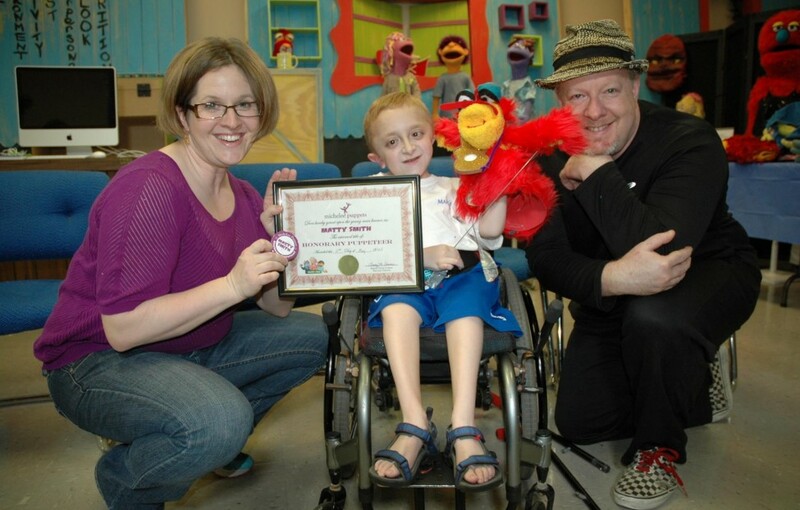 Presenting Matty with a puppet crafted by Magic Child Creative’s Jason Stanley, the Smiths are treated to backstage tours and meet and greets that a rare few witness. 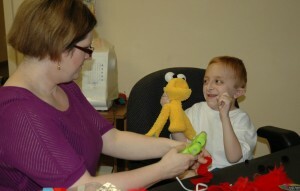 But Matty’s wish is to perform (specifically puppeteer) at Walt Disney World: a nearly impossible task. 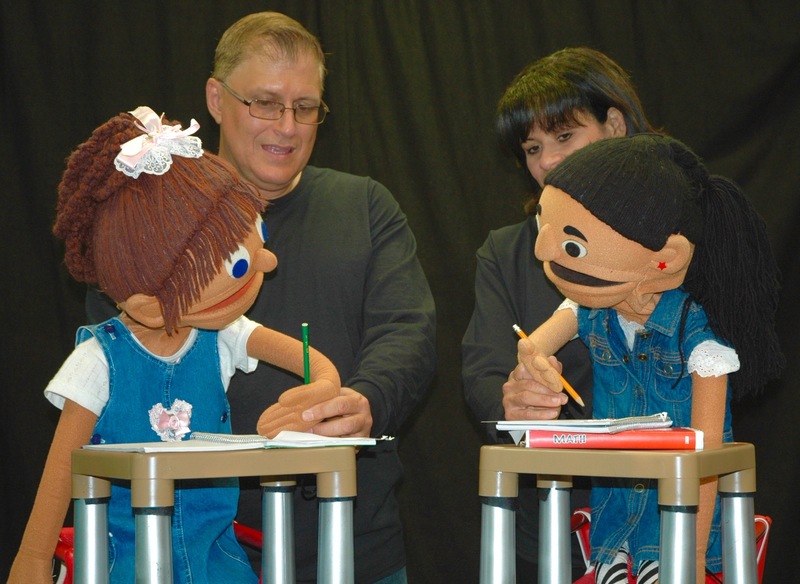 WDW shows contain safety hazards requiring puppeteers to be highly trained before ever stepping foot (or arm) onstage. Luckily, 3 of those highly trained professionals are waiting at MicheLee Puppets for Matty’s arrival. 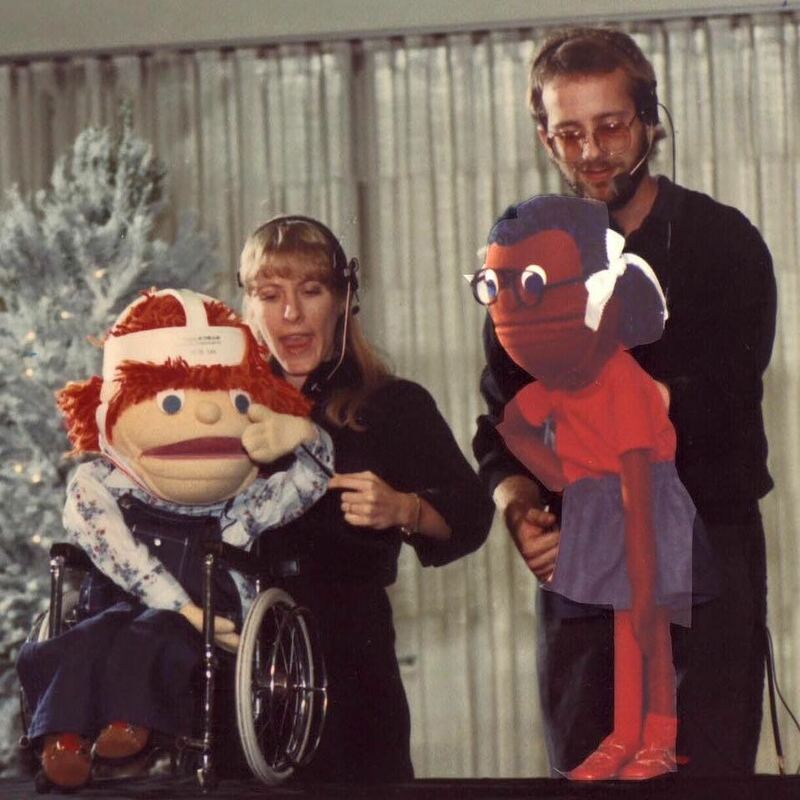 Featuring live shows and videos, MicheLee Puppets has the unique ability to make Matty’s performing wish come true. 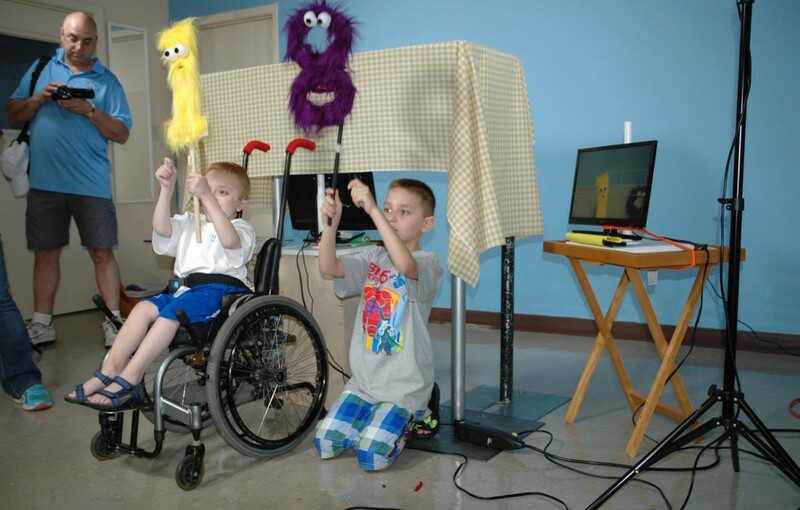 With help from the Central Florida Puppet Guild’s April Tennyson, Megan Boye, and Miker Heyn, the puppets are constructed, the characters are dressed and MicheLee Puppets is ready to film its latest “Rhyme Time” video, featuring Matty as a special guest puppeteer. 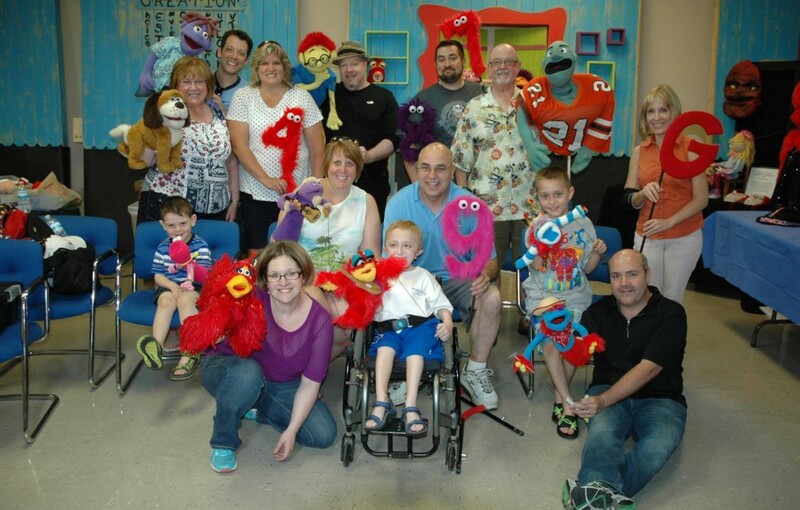 Arriving at MicheLee Puppets’ studio, the Smiths are greeted by Executive Director, Tracey Conner with WDW puppeteer alumni James and Jamie Donmoyer, and John Kennedy (current Sesame Street performer). 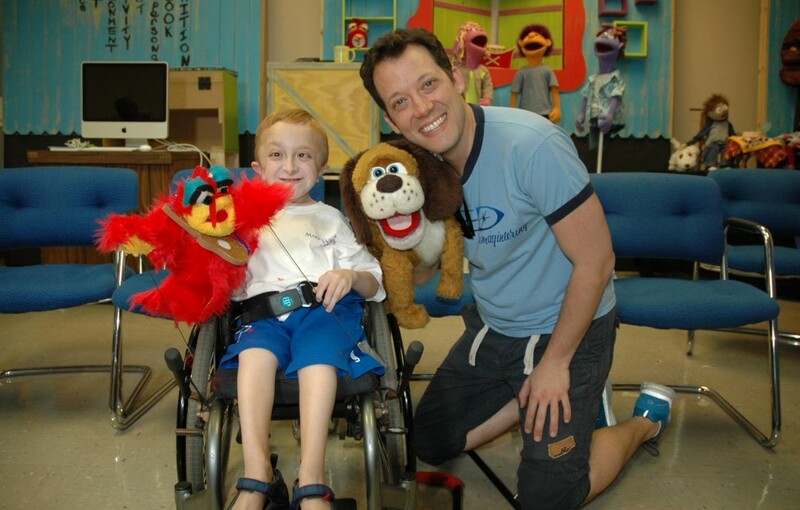 Soon Matty is swept away into the memories of former WDW puppet shows including “The Disney Crew”, “The Legend of the Lion King”, and his favorite “Bear in the Big Blue House”. 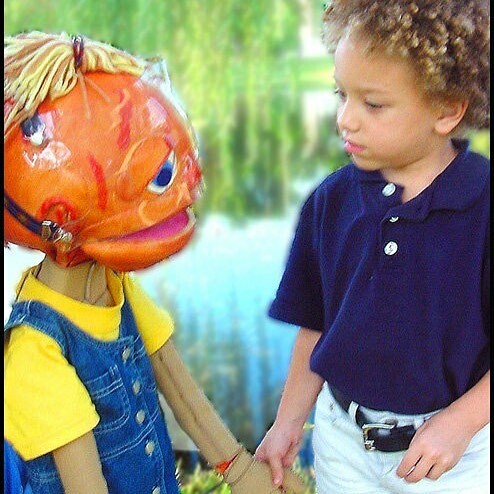 Pictures and puppets help him step into his performing dreams as he tries on one of the former Disney Crew puppets, but it is the guitar playing purple member of the “Electric Socketz” that brings him to life (with some inspiration from the red hen). 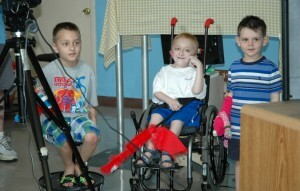 Singing on camera to the New Kids on the Block, Matty and his brothers warm up for their big scene. 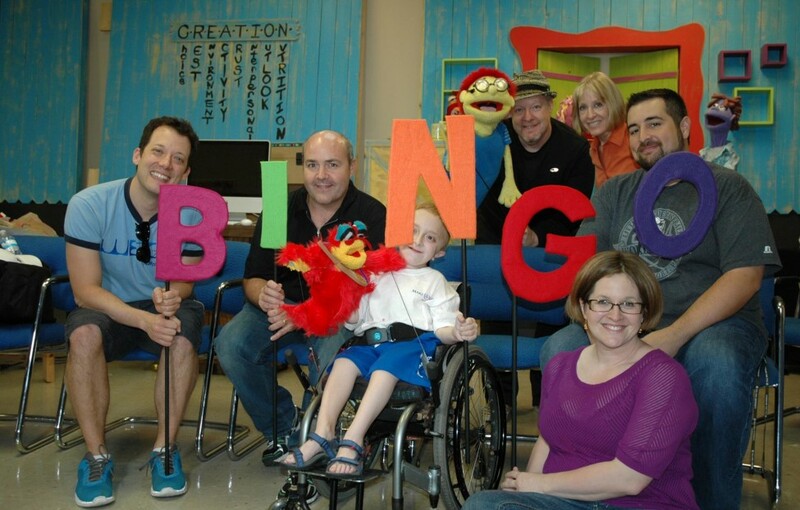 Television puppeteer John Kennedy shows the boys how to perform group choreography and the B-I-N-G-O puppets dance onto the screen. Soon numbers replaces letters and the jokes begin to fly! 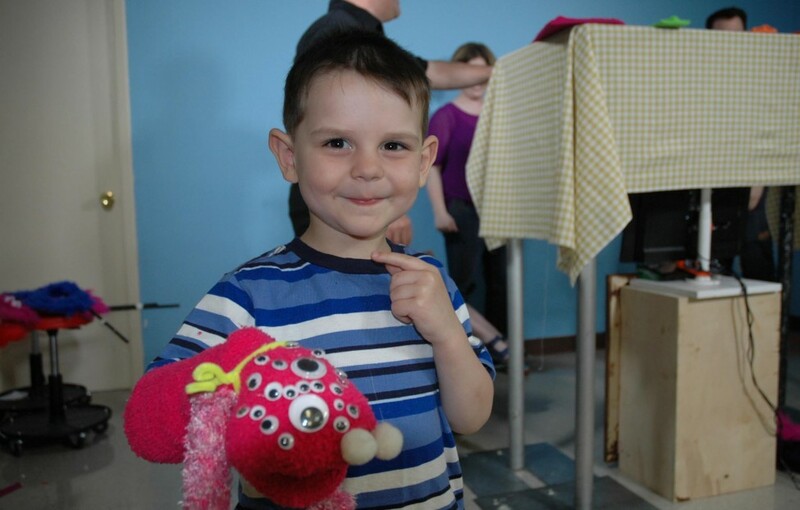 A room full of giggles with puppets popping up from every corner, Matty and his brothers are treated to creating puppet characters of their own. 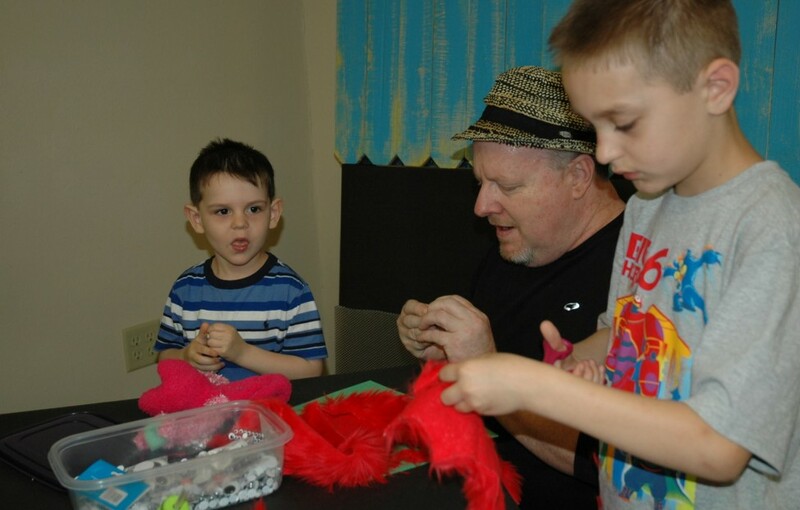 John Kennedy surprises the boys with a copy of his puppet-making book “Puppet Mania” and they pour over the pages in preparation for creating their characters. 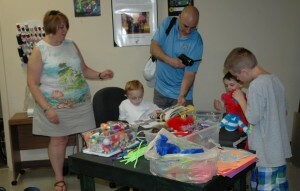 Volunteer (and professional artist) Ron Jaffe helps 3yr old Joey create an alien, while 8 yr old Ben goes the Disco route. 13 yr old Matty has his heart set on bringing home a red hen and while he needs some assistance with the implementation, he knows what he wants and makes sure that Jamie Donmoyer gets every detail complete, including a waddle, furry feathers, and blue eyelids. 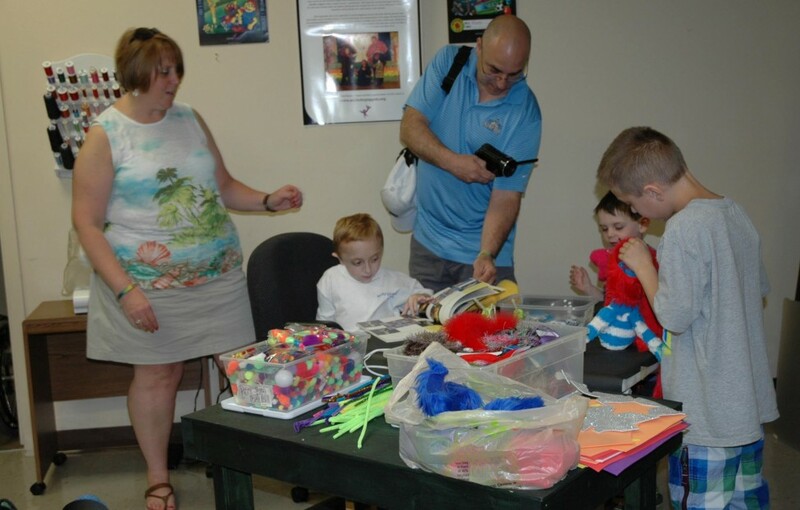 Fur flying, glue guns heating and eyeballs googling, the boys finish their creations just as the final surprise is revealed. 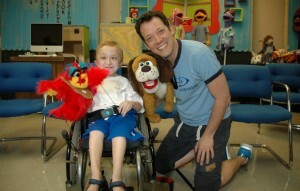 Matty’s eyes widen as professional puppeteer John Tartaglia, star of The Disney Channel’s “Johnny and the Sprites” arrives to greet him. A star-struck Matty can’t wait to show John everything he has done so far and John joins in the fun, spending the rest of the morning playing with puppets on camera. The experience wraps up far too soon for all, and before he leaves, Matty is presented with a MicheLee Puppets’ “Honorary Puppeteer” button and framed certificate (designed by the talented Ron Jaffe). 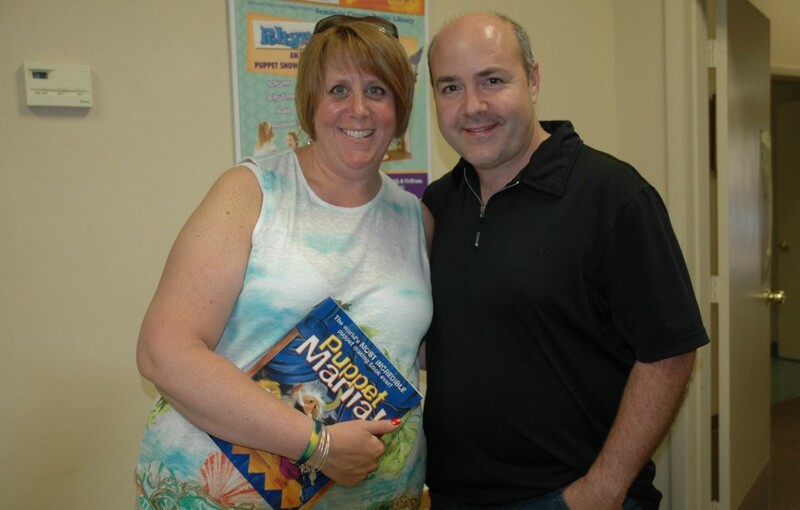 An indescribable morning of puppetry fun, the Smiths leave with a new book and new puppets, but have left those at MicheLee Puppets with so much more. 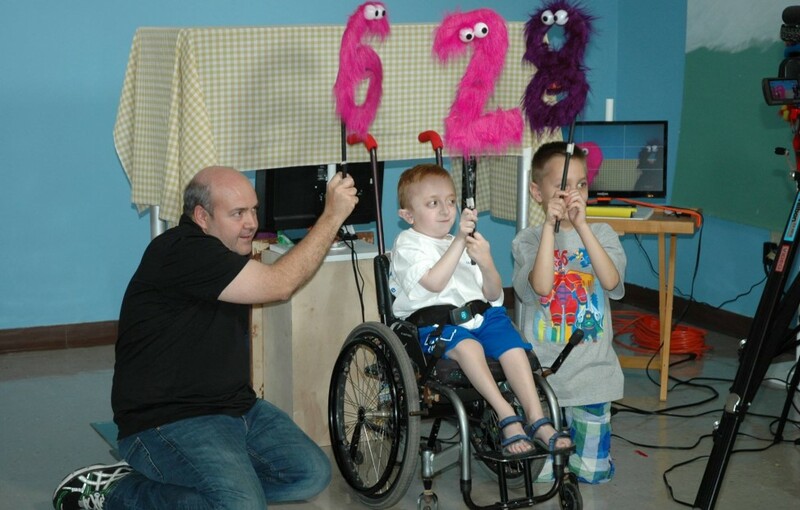 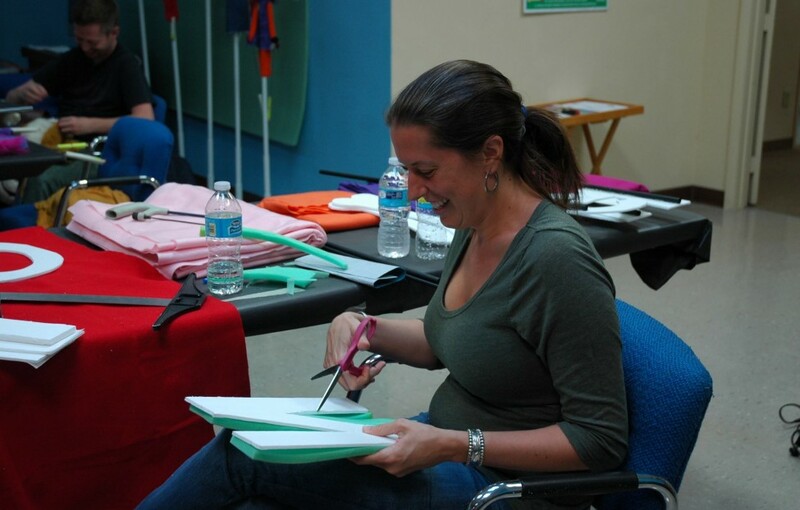 A powerful day empowering lives through the art of puppetry, and making a wish come true.